Rather than being an independent phone, it functions as a 'Connected device,' similar to a smartwatch. You have to pay an extra $10/month, and it will receive the same phone calls and SMS messages as your main phone. TCL is positioning it as a secondary device for when you need a break from your regular phone. The main gimmick of the Palm phone is its size — the screen is just 3.3 inches across. Most Android apps might be a bit difficult to use with the limited screen space, but the Palm phone has a few software tweaks to mitigate that. The custom launcher takes inspiration from the Apple Watch's home screen, with large icons in a honeycomb pattern. The software navigation keys appear to be optional, but the single capacitive button for home/back/recents doesn't look ideal. 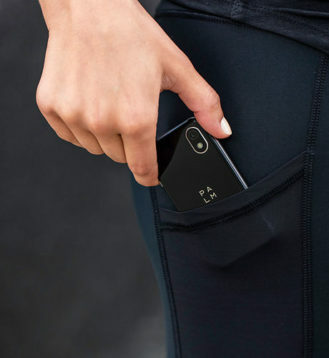 Accessories appear to be a major focus for the new Palm phone. Steph Curry of the Golden State Warriors is a creative strategy director for Palm, and has helped create cases, lanyards, armbands, and Kate Spade-branded clutches for the tiny device. I'm sure Verizon will be more than happy to sell you all of them. I'm always a fan of smaller smartphones, but the new Palm is a bit underwhelming. It's exclusive to Verizon, it can't function as a primary phone, and it doesn't have a headphone jack. The entry price of $349.99 also seems too high — you could almost buy three Jelly Pro phones for that. If you want to buy one, you can sign up for email updates at the Verizon source link below. You can also follow the @Palm Twitter account, which unfortunately has been purged of all old webOS tweets. 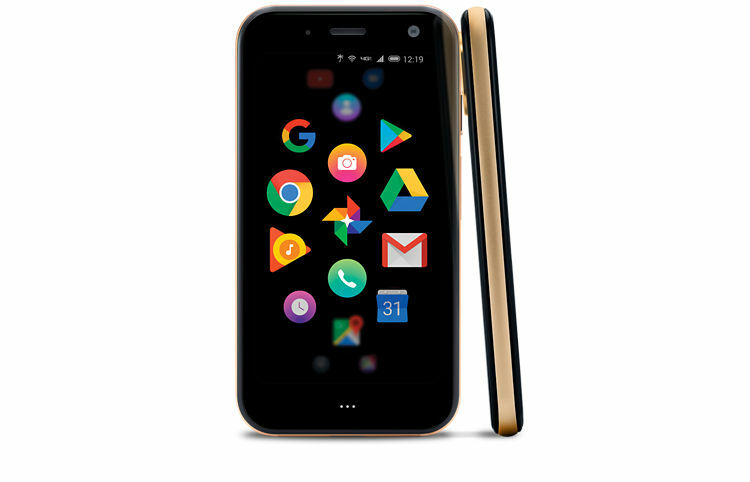 Palm is available exclusively on Verizon, online and in stores, starting November 2 in two color models - Titanium and Gold – for $14.58 per month for 24 months on device payment (0% APR). You’ll also have the option of purchasing it with a new 2-year agreement for $299.99, or full retail for $349.99. Additionally, Palm will be available at Best Buy kiosks nationwide. Verizon NumberShare is $10 per month per line.